Last Saturday night, a customer spoke to me in the lobby about his recovery from a life threatening head injury. He should have been wearing a helmet, and he wasn’t. His accident left him unconscious, in a wheelchair for a long period of time, and his medical prognosis was not positive. He told me that one of the first things he remembers when coming back to consciousness was the music of guitarist Joe Satriani that was being played for him. Then, he showed me two photos. One of himself in a wheelchair hooked up to a ghastly array of medical devices, and a second photo of himself with Joe Satriani in the Florida Theatre lobby. When we crunch numbers and agonize about the mechanics of getting shows to Jacksonville and onto our stage while remaining financially viable, it’s being able to provide an unpredictable moment like that to someone that makes it all worthwhile. You can’t put a number on something like that. Indeed, you shouldn’t even try. Nonetheless, we do have bills to pay, and I hope you will consider attending our annual benefit this year on May 19. Studio 54 JAX is a nightclub event and benefit concert for the nonprofit Florida Theatre. For one night only we’re celebrating the glamour of the infamous private parties of the famed Studio 54 night club in New York City. We’re extending the stage out into the auditorium and serving a sit down dinner there, inside the theatre, with guest artists performing the music of Elton John, Donna Summer, and Rod Stewart, followed by a disco dance party on the stage with live music by the Boogie Freaks. Yes, you can disco dance on the Florida Theatre stage, for one night only. There is a ticket price to fit your budget, and I hope you will join us as we transform the Florida Theatre into the iconic discotheque; Studio 54. Help us make those special invaluable moments possible. This is the time of year when our elected representatives are working on our local, state and federal budgets. You will hear about it in the news, and you will definitely hear about it from the other organizations and causes that you support. My goal today is to encourage you to express your support of public funding for the arts to your elected representatives. First, the work that our arts organizations do advances the creativity, diversity and culture of our nation. This work distinguishes America (and our city) in the global marketplace as an innovative leader in a changing world. Second, our arts organizations make our communities better places to live and work. If you have a choice between living and working in a city that has great music, dance and theatre, and a city that does not, which one would you choose? If you were relocating your company, which one would you choose? Jacksonville is blessed with a full spectrum of arts organizations. Third, our arts organizations are economic development machines. Let’s use the Florida Theatre as an example. Last year we hosted 173 performances. We were open almost every other night, 12 months a year. That activity brought 170,000 people downtown, generated an economic impact of $14 million, supported the Full Time Equivalent of 417 jobs, and generated $10 million of household income, $623,000 of local government revenue, and $755,000 of state government revenue. But why public funding? Why shouldn’t the arts pay their own way? Our government has an honored tradition of helping to make things possible. Tax incentives, guaranteeing loans, and grants are just a few quick examples that I can think of. Assistance comes in many forms, across all sectors, and even when it doesn’t foot the entire bill, it helps make things happen. Again, take the Florida Theatre as an example. City funding makes up just 4% of the theatre’s annual $8 million budget, and state funding just 1%. It by no means subsidizes anything, but it helps to make a few things possible. It helps us preserve this historic building, offer educational programs to schools, and cultural programs to the public. Again, I stress the word “helps.” We still have to find the rest of the money through ticket sales, business activities and other fundraising. If you think about government’s job as taking care of its citizens, and you draw that responsibility broadly to encompass everything from safety and security to the health and well-being of the community, the arts are a great investment, and government partnering with the nonprofit arts sector to make things happen is a good strategy. If you want to go “all in” and start tracking advocacy alerts yourself, click HERE for the Florida Cultural Alliance’s online advocacy center. To send a single email to all of your federal and state representatives at once, click HERE for an online tool managed by Voter Voice and Americans for the Arts. 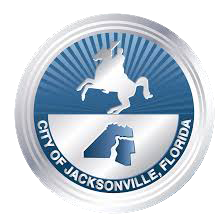 To an email to your Jacksonville City Council member, click HERE to find out who your Council Member is, and click HERE to get their email address. I am proud to live in a country and a city that values the arts and culture, and supports it in so many ways. One of the pieces of feedback we consistently hear from customers is a desire for more dining options in the downtown area. Jacksonville’s neighborhoods each offer a rich tapestry of dining options, but the theatre’s customers would like to come downtown for a show, park the car once, walk to dinner, walk to the theatre, and walk to a post-show drink or dessert. The newly opened Cowford Chophouse is bringing welcome attention to downtown, and they’re right around the corner from the Florida Theatre, so they merit special a special welcome from us! But as welcome as the Chophouse is, there are already several dining options in our neighborhood, and I thought I would canvass the theatre’s staff for their recommendations, and share them with you. After all, we spend a lot of time in this neighborhood. BELLWETHER. Our former Social Media Manager Shannon Greene says, “Bellwether is the newest eatery on the block. After a year in business, foodies can look forward to a hearty entrée, good glass of wine or specialty selection of soft serve ice cream in flavors such as pistachio chocolate, lemon rosemary and Cap’n Crunch. Sadly, they’re only open for dinner Wednesday through Friday, but it is so worth scheduling around it.” Bellwether’s address is 100 North Laura Street, but the restaurant actually faces Forsyth Street, between Hogan and Laura Streets, across from the Bank of America Building. Hours are Monday 10:30-3:00, Tuesday 10:30-7:00, Wednesday-Friday 10:30-9:30, closed Saturday-Sunday. 904.802.7745,www.bellwetherjax.com. BOLD CITY BREWERY DOWNTOWN. While not strictly a restaurant, Bold City Brewery’s downtown tap room deserves a special mention. With 11 taps and a variety of other beers available in assorted container types and sizes, this is a great place for an after work drink or a night cap on the weekend if you have a taste for locally crafted beer. Open Sunday-Thursday 11am-8pm, Friday-Saturday 11am-11pm. Located at 109 East Bay Street, right next to the Cowford Chophouse, (904) 503-7682, www.boldcitybrewery.com. BURRITO GALLERY serves the best burritos, tacos, and quesadillas, using the finest ingredients, and pairing it with ice-cold beer and tasty margaritas in a historic building featuring local art. Before they began building a burrito empire, this location was the original “BG.” Social Media Manager Shannon Greene likes BG Downtown because, “It has all the things. It’s just two blocks away from the theatre, offers $5 margaritas during happy hour (4–7 pm and 10pm–close), and has inside/outside seating. See, all the things. It’s irresistible.” Located at 21 East Adams Street, between Ocean and Main Streets, downstairs from Indochine (see below), hours are Monday-Friday 11am-2am, Saturday 11am-1:30am and Sunday 11am-8pm. 904-592-2922, www.burritogallery.com. CASA DORA ITALIAN CAFE. It’s all about the ambience and the Italian experience. You can find low-fat and gluten-free food here, but why would you want to? If you’re in the mood for a quick slice of pizza, or spaghetti and meatballs with the kids, this is the place. Technical Director Saul Lucio says, “I am not at all certain about the authenticity of the many signed celebrity pictures on Casa Dora’s walls. After all, Telly Savalas died before the place was open! Freddie runs the place and is friendly and courteous, and the food is authentic, good for a bite before or after a show. Casa Dora is a great place to eat when it is prepared fresh. If Sam the owner is in the kitchen, ask him to make his Chicken Bianca.” 108 East Forsyth Street, on the other end of the theatre’s block. This is a real word of mouth local restaurant. They don’t even have a web site! 904-356-8282. Monday-Friday 10:30am-9:30pm, Saturday 4pm-10pm. Closed Sunday. COWFORD CHOPHOUSE. Housed in the newly restored Bostwick Building, one of downtown’s oldest historic buildings, dating from 1902, Cowford Chophouse has downtown’s only rooftop lounge, and features the “classic American” menu you would expect from a restaurant that had the word “chop” in its name. At a recent lunch I had the Hanger Steak and fries for lunch, and they were excellent. The steak was very tasty, and the fries are, in my humble opinion, the only French Fries I’ve yet had downtown that can rival Olio’s Bacon Cheese Fries. My companion said that his Tune Poke Bowl was, “Excellent.” The Cowford Chophouse is located on the other side of the theatre’s block, at 101 East Bay Street, on the corner of Bay and Ocean. Open Monday-Thursday 11am-10pm, Friday 11am-11pm, Saturday 5pm-11pm, Sunday 5pm-9pm. 904-862-6464. www.cowfordchophouse.com. D&G Deli and Grill. Unfortunately they’re not open for dinner (and we wish they were) but D&G still merits a special mention for a breakfast and lunch menu emphasizing fresh ingredients and Greek and Mediterranean foods. I say, “D&G is one of downtown’s hidden gems.” Try the Hummus, Fattoush Chicken Salad, Greek Chicken Salad, or a Gyro, or one of their very credible renditions of American classics like Reuben and Philly Cheese Steak sandwiches, or a simple grilled Mahi-Mahi. Development Director Suzanne Hudson-Smith says, “It’s a great place for breakfast or lunch. Their hamburgers are the best, and a great value.” Open Monday-Friday 7am-2:30pm, Saturday 8am-2pm, closed Sunday. Located at 223 East Bay Street, between Newnan and Market Streets. 904-634-0328, www.dandgdeliandgrill.com. DOS GATOS. Not a restaurant, but our neighbor and very deserving of a mention, Dos Gatos is Jacksonville’s original cocktail lounge. Located directly across the street from the theatre, the art of the cocktail is on full display nightly by a well-trained cadre of cocktail artists. Their light is almost always on. Hours begin at 4pm Monday-Friday and 6pm Saturday-Sunday, and they’re open until 2am every night (or morning). 904-354-0666, www.dosgatosjax.com. INDOCHINE. You can’t shake a stick in Jacksonville without hitting a Thai restaurant, and Indochine leads the pack, serving up the best Thai, Sushi and Pho in Jacksonville. It’s hard to sample their menu, because once you try a dish, it will probably be so good you’ll just keep ordering the same thing every time. Just two blocks from the theatre’s front door, at 21 East Adams Street, between Ocean and Main Streets, upstairs from the Burrito Gallery (see above). 904-598-5303. Lunch is served Monday-Friday 11am-2:30pm, and dinner is served Monday-Thursday 5pm-9:30, Friday-Saturday 5pm-10pm, closed Sunday. JULIETTE’S. Located at the Omni Hotel, Juliette’s is, “A Fresh Seafood Bistro,” offering exquisite cuisine and fine wine in a modern bistro setting, Thursday and Friday lunches are themed: Italian Thursday and Southern Friday. Membership Manager Meredith Jesperson says, “Juliette’s at the Omni is a favorite spot for Sunday Brunch. This is also a great place for date night, but if you are attending a weekend matinee and looking for a special pre- or post-show meal with the kids and the grandparents, this is the place.” Open daily for breakfast, lunch and dinner. Breakfast is 6:30-10:30, lunch is 11am-2pm, and dinner is 5:30pm-10pm. Located in the lobby of the Omni Hotel at 245 Water Street. 904-791-4994,www.omnihotels.com. OLIO MARKET prepares items fresh every day, like the Duck Grilled Cheese featured on the Travel Channel’s Adam Richman’s Best Sandwich in America, so you need to get there early. Respect for ingredients is the driving factor of Olio, and Membership Manager Meredith Jesperson says, “Their seasonal menu is wonderful. They have a Roast Duck and Sage Gnocchi that I think I could eat every day.” Olio is located two blocks from the theatre at 301 East Bay Street, on the corner of Bay and Market Streets. Hours are Monday-Friday 8am-3pm, Friday evening 5pm-10pm, closed Saturday and Sunday. 904-356-7100. www.oliomarket.com. SPLIFF’S GASTROPUB. Box Office Manager Kathleen Petrillo-Bair likes Spliff’s Gastropub. “Just around the corner at the end of our block, they’re always open, have really good mac and cheese, and an excellent craft beer menu. They also deliver to the Box Office when we can’t get out to pick up!” Spliff’s offers, “A unique variation on ‘Gourmet Comfort Food,’ with a menu that aims to have a little something for everyone. The bar features a wall of rotating taps with craft and local beers and select wines.” Spliff’s Gastropub is located just around the corner at 15 North Ocean Street, and is open Monday-Tuesday 11am-8pm, Wednesday-Saturday 11am-2am, closed on Sunday. 904-844-5000. www.spliffsgastropub.com. SUPER FOOD & BREW serves “artisan food and healthy gastropub fare with passion and purpose.” Development Director Suzanne Hudson-Smith says, “I do love the tuna poke bowl, served up with lots of tuna, a flavorful special sauce, rice, edamame and seaweed salad!” Program Director Kevin Stone says, “Their menu has a wide variety, from sandwiches to stir fries to noodle and rice bowls. It’s a very casual environment, and they offer some great local beers.” Membership Manager Meredith Jesperson calls their Mac-N-Cheese Balls, “The best ‘side’ in town. They’re really orzo and cheese, fried and served with a great sauce.” Located just two blocks down Forsyth Street from the theatre, at 11 East Forsyth Street, on the corner of Forsyth and Main, open Monday-Wednesday 10am-8pm, Thursday and Friday 10am-10pm, closed Saturday-Sunday. 904-723-1180. Visit them on Facebook. Each year at about this time we are pleased to present you with our Annual Report. Ever since the theatre reopened as a nonprofit performing arts center in 1983, we have been hearing from audience members and performers about what the theatre means to them. Any city can build themselves a concert venue, but for artists who love giving great performances, and for audiences who enjoy seeing and hearing those performances in an intimate and authentic venue, there’s only one Florida Theatre. The historic Florida Theatre is managed, programmed and preserved by the Florida Theatre Performing Arts Center, Inc., a nonprofit corporation. We are proud to be the institution that connects the world’s greatest performers with Jacksonville audiences, and we seek to electrify your soul with great performances that keep every corner of our city cheering for more. We take our role as stewards of the historic Florida Theatre seriously, because it’s this 90 year old building that brings us all together. Part of being a good steward of a nonprofit corporation is being transparent about our operations, and we are pleased to present this 2017 Annual Report to you, our sponsors, donors and audience members. This coming Saturday afternoon is one of the events I look forward to all year, and I want to tell you why! This is a great break from the holiday routine. (You don’t really want to go to the mall on Saturday afternoon at this time of year anyway, do you?) It’s something you can do with the whole family on a Saturday afternoon, and it’s also an opportunity to teach young people about helping others and the importance of philanthropy. The movie is at 2pm. Come early! Santa will be on hand for photos and selfies. Sweet treats and hot chocolate will be served, and ornament making will take place in the crafting area. This is the third annual holiday movie to benefit Feeding Northeast Florida. The event is the brain child of the Florida Theatre’s young professionals organization, First A.C.T. I love the spirit of it, and last year the audience donated enough food for 1,000 meals. It’s not a lot compared to the overall need, but it’s a start, and with your help we can do better this year! For three years we have partnered with Feeding Northeast Florida, our region’s food bank. Distributing food to those who need it sounds easy enough, but it’s fairly complicated, and Feeding Northeast Florida are the experts. They connect millions of pounds of food a year to over 160 social service agencies across the region. In turn, these organizations help an estimated 281,000 individuals in Northeast Florida who struggle to put food on their table, including 80,000 children. In 2016, Feeding Northeast Florida provided 12.3 million meals across eight counties in Northeast Florida. We are able to open the theatre, and provide the movie for free, and collect the food because First A.C.T. and the theatre’s development department have secured sponsors for the event, who deserve our thanks: Matrix One Source, SecureSI, Johnson and Lufrano, P.A., AVL Productions, Wilson Dutra Innovation Law, and Convergys. Of course, Community First Credit Union is the sponsor of 2017 at the Florida Theatre. Two years ago, an hour before the movie, a woman pulled up to the curb, and unloaded two boxes of food from her trunk. She told us that she couldn’t make it to the movie, but Feeding Northeast Florida had helped her when she needed it, and she wanted to return the favor. I hope you will honor her commitment by joining us this Saturday! Click HERE for more information about Elf. PS – If you can’t make it Saturday, you can also make monetary donations directly to Feeding Northeast Florida by clicking HERE. Because of economies of scale, the cash is almost better. When matched by a matching grant, a $25 donation provides 300 meals. The nonprofit Florida Theatre reminds its customers that floridatheatre.com is the theatre’s only official website and online ticket seller. The official in-person location to purchase tickets is the theatre’s box office, located at 128 East Forsyth Street. The official phone number of the box office is 904.355.ARTS(2787). Protect yourself from scams and scalpers, do not be fooled by imitators, and do not pay more than you have to. If you purchase tickets from anyone other than floridatheatre.com or 904.355.ARTS(2787), you are buying from a ticket broker, and you are paying more than you need to. Ticket brokers make it appear that they have “special access” to the best seats, but all they’re doing is purchasing tickets from the theatre and reselling them to you at an inflated price. Even when a ticket broker is operating within the law, you still pay more than you need to, and not one cent of the markup goes to the artist or the theatre, who invested the time and money to make the show possible in the first place. If you purchase from a broker and there is anything wrong with your order, the theatre cannot help you, because you did not purchase your tickets from the theatre. If a show is cancelled or rescheduled, the theatre will always stand behind the tickets it sold, but you may have trouble collecting a refund from a ticket scalper or broker. Sadly, there are also unscrupulous vendors who will sell you outright fraudulent tickets. When this happens, the theatre cannot help you. Even when you think a show is sold out, it’s always worth a phone call to the Florida Theatre ticket office at 904.355.ARTS (2787) to see if tickets are available. Earlier this summer, an edition of this newsletter asked for audience input about the Florida Theatre’s history during segregation. We had received an inquiry from a citizen activist and the Florida Times-Union, and having surprisingly little information in our own archives, we turned to the audience and the public for their memories. Many of you responded, and I write to tell you what we’ve learned.Many of you remember taking the bus downtown as kids in the 1940’s, 50’s and 60’s, going shopping first, having a soda or a burger somewhere, and then going to a matinee at the theatre, before taking the bus home again just in time for dinner. One gentleman even remembered using bottle caps as admission.But many of you remember not being welcome at the Florida Theatre at all. One of my favorite slogans is “Silence Equals Death.” It is the motto of ACT UP, the AIDS Coalition to Unleash Power. Although it’s the slogan of a direct action group founded in the mid-1980’s in response to the early days of the AIDS crisis, it’s a slogan with deep meaning and varied applications and implications. In this instance, it reminds me that some things, no matter how difficult, must be talked about. In the words of George Santayana, “Those who cannot remember the past are condemned to repeat it.”With that in mind, based on the personal oral and written histories we received, we have amended the official history of the Florida Theatre to include a new section on segregation. The Theatre’s history is posted on our web site, but I have excerpted the new section below. We envision this as an ongoing conversation though, so if you happen to have more information to share with us, we welcome hearing from you. You can reach me at numa@floridatheatre.com or through the admin office at 904-355-5661.SEGREGATION (from the official history of the Florida Theatre)During the years of segregation, the practice of Jacksonville’s entertainment venues was for the entire theatre to be racially segregated. When the Florida Theatre first opened its doors in 1927, there were thirteen other theatres in the northbank area of downtown. The Florida Theatre was a “white only” building. No photographs of “white only” signage at the Florida Theatre survive, probably because it was not needed. It was commonly understood which buildings welcomed the white population, and which buildings welcomed the black population. The latter included the Strand Theatre (West Ashley and North Jefferson), the Center Theater (West Adams Street) and the Ritz Theatre (West State and North Davis). Shannon West, a present day audience member, recalls, “In the words of your average genteel middle class southern adult at the time, ‘It simply isn’t done. They have the places they go and we have ours. It’s best that way and they are happy with that.’”Present day audience member Toni Lang Philips remembers, “I did not go to the Florida Theatre for movies, ever. My mom says she didn’t either. We went to the Center Theater downtown, as well as the Strand, the Roosevelt and the Ritz.”Several present day audience members remember that, in the words of one gentleman, “The Florida Theatre didn’t have to be segregated. The black community just went to the Ritz instead.” Of course, this thought process comes perilously close to justifying a Separate but Equal policy, and altogether ignores the fact that if a racially integrated audience was welcome at the Florida Theatre, or at any of the other “white only” venues in the first place, separate venues would not have been necessary. Integration of the audience at the Florida Theatre began in the mid to late 1960’s, and then in 1972, the last mainstream movie shown at the Florida Theatre was The Concert for Bangladesh, a documentary of George Harrison and Ravi Shankar’s benefit concerts for flood victims of that South Asian country. Will Henley, now the publisher of EU magazine, but then a young employee of the Florida State Theatre movie chain, remembers that the very next day, the theatre began showing Blaxploitation movies like Super Fly, Blacula and Foxy Brown, and overnight the audience makeup went from slightly integrated to almost entirely black. It was a typical survival strategy employed by aging movie palaces in downtown urban areas, which were then trying to survive the rise of multiplexes and the flight of the white population to the suburbs. Along with Kung Fu movies, these films remained staples of the theatre’s schedule until it was sold and closed in 1980, reopening in 1983 as a nonprofit performing arts center whose first four performances included an African-American act, The Spinners. Lately, I see a lot of cell phone video footage on the news: video of average citizens performing heroic feats, such as pulling people from burning buildings, dragging swimmers out of deadly rip tides, or successfully performing CPR on cardiac victims. While applauding the heroes, I also wonder who are the people making these videos? How did they decide that making a video was more important than actually helping to solve the crisis?With that in mind, I’d like to share that a few weeks ago, our friends at The Florida Times-Union published an editorial that seemed to have begun when a citizen activist wrote the paper inquiring for copies of historical articles on the desegregation of the Florida Theatre. I can’t help but think of the crisis video makers when I first found this out. Why was the call to the newspaper, instead of engaging the Theatre in an important discussion directly? Because let’s be clear, we agree, it is absolutely an important discussion.According to the article, they “couldn’t find much.” They contacted “various experts on local history,” and also had, “no luck.” Then paper contacted me, and I too was unable to provide much information. While we have good records from the birth of the theatre in 1927, and the rebirth of the theatre in 1983, our historical archives for the years in between are incomplete and perhaps even contradictory. Segregated venues typically had separate street entrances leading where the African American audience would be seated. The Florida Theatre has no such documented entrance and furthermore, none of the historical photos we have identify anything being “Colored Only.”In the historical photos we do have, however, it is impossible not to notice that everyone is White. This would seem support the idea that perhaps the entire building was segregated. We’ve heard second-hand that a former employee of the private company that owned the Theatre before 1980, an African-American man, said that when he delivered films to the Theatre, he was not permitted past the entry lobby. Maybe it’s because deliverymen were not allowed past the front door, but it’s not hard to imagine there was another reason. On the other hand, we have also heard from a former board member that a friend of his, an African-American woman, remembers attending the Theatre on several occasions, possibly as early as the 1950s or 1960s. The truth is we don’t really know much about the Theatre’s history as it pertains to segregation. However, as the Times-Union editorial observed, “Every generation has a responsibility to show respect for its past,” and we agree. So with that in mind, if you know something about the Florida Theatre’s history with regards to segregation, we would love to hear from you. Maybe you have an old photo, souvenir, or story that was handed down to you from a previous generation. Whatever your historical connection is with the Theatre, we encourage you to get off of the sidelines and metaphorically put down the iPhone, to become part of the conversation and history of our city. Please feel free to call me directly at our administrative office, 904-355-5661 or email me at numa@floridatheatre.com. I’m in the office 9:00am-5:00pm during the week. I’m also in attendance for at least a part of almost every show, if you’d like to share face-to-face.Let’s come together to get the history of this Theatre in the books.